To take part in an acta group, please book a place by completing an enquiry form, or calling the acta office. All acta workshops are offered free of charge. Friendly faces and the opportunity to get together over a cup of tea, have fun and share common interests. Making Time work on arts based projects, aimed at discovering the joy of making and trying new things. In 2018, the group produced Phoebe’s Adventure. Transport and a hot lunch are provided for lonely or isolated people interested in taking part in the Making Time workshops. 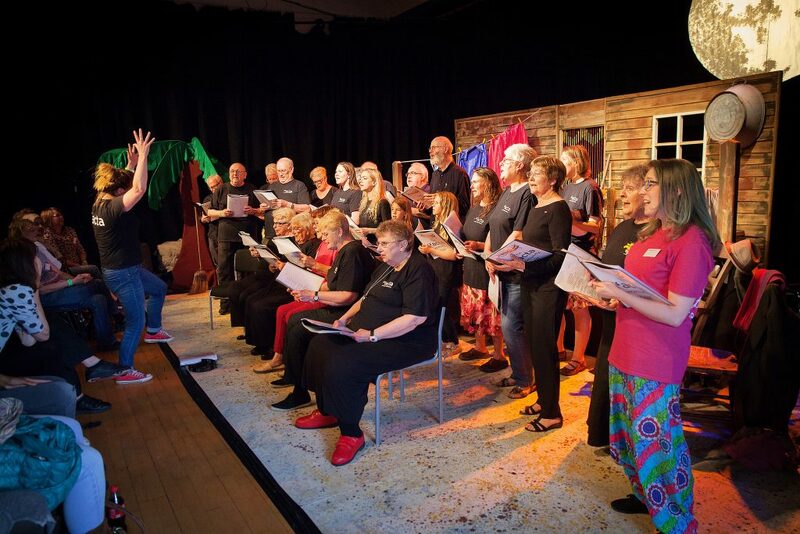 A community theatre group for adults, who have previously produced Land of Lost Things (2014), The Crossroads (2015), High & Dry (2016), Blood on the Coal (2017) and Plastic Fantastic? (2018). We meet weekly in term-time, at the acta centre, and have developed a fantastic intergenerational group of local residents who are keen to encourage new people to come along and have a go.